As I was taking a stroll through my iPod the other night, going wherever the winds of sound thought to send me, I happened upon the song you see before you today. As has been mentioned in this space, and on the Iron Leg Radio Show podcast (as well as over at Funky16Corners) I am a HUGE fan of the mighty Joe South. South, who had a couple of his own hits, is best known for the versions of his songs taken into the charts by other artists. 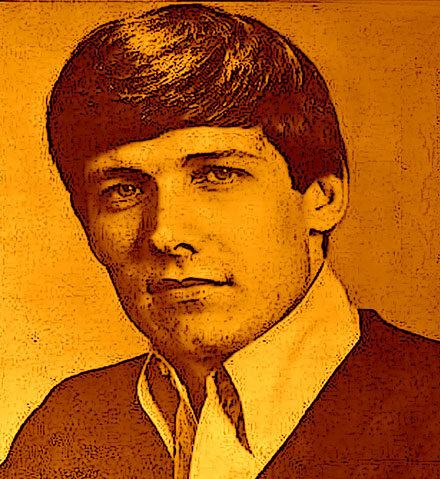 Folks like the Tams (‘Untie Me’), Lynne Anderson (‘Rose Garden’), The Osmonds (‘Yo Yo’), Billy Harner (‘She’s Almost You’) and Billy Joe Royal (‘I Knew You When’, ‘Down In the Boondocks’) kept those fat royalty checks rolling into South’s bank account. Yet it is one song in particular, covered many times, that stands as his songwriting ‘landmark’. 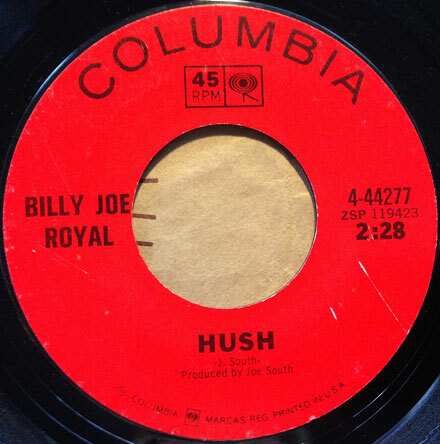 I can remember falling in love with the 1968 hit version of the song by Deep Purple when I was a teenager (still years away from having any knowledge of South), and then being blown away in the mid-80s when I first heard Billy Joe Royal’s 1967 version of the song. When I finally got around to rounding up all of South’s original albums, I discovered not only that he was an amazing singer/songwriter, but that in many cases I preferred his own renditions over the more famous covers. This was never truer than with his recording of ‘Hush’. Both Royal’s and South’s recordings seem to follow the same basic template, the main difference being the vocals. Royal had a high, thin tenor which served him well on his many trips into the charts. Joe South had a deeper voice and his take on the song is overall heavier and more rocking. Unlike many songwriters better known to the public for others versions of their songs, South was a confident performer who had enough experience in the studio to get his ideas into the grooves on the record. South’s recording of ‘Hush’ is included on the 1969 ‘Games People Play’ album, which also includes his versions of ‘Untie Me’ and ‘I Knew You When’, as well as an early/alternative version of ‘Yo Yo’ called ‘Heart’s Desire’. Like all of his albums (especially the first six) it is worth picking up. I’ll have to whip together an episode of the podcast devoted to South and his songs. There were also versions by Somebody’s Image (1967 Australian group featuring Russell Morris), Johnny Hallyday, Jeannie C Riley, Donnie Brooks, Merrilee Rush, and Kula Shakur. I’ve been sitting on this 45 (not literally) for a long time, waiting for the right time to whip it on you all. A while back, I was sitting in some department store parking lot somewhere, killing time while the fam did some shopping, and listening to the satellite survey on Sirius 60s. I’m a huge fan of old top 40 surveys because they are often your only chance to hear all kinds of interesting tunes that never cracked the Top 20, making it high enough to get played on the radio back in the day, but not quite high enough to get picked up by the algorithms that govern modern oldies radio. So, ears peeled, I was digging the sounds when the DJ did one of those flashbacks, prefacing the Supreme 1969 hit version of ‘Someday We’ll Be Together’ with the original by Johnny (Bristol) and Jackie (Beavers) from 1961. I was aware of the earlier recording, but had never actually heard it. I dug it a lot, and set out on the intertubes to see what I might do in the way of acquiring a copy. 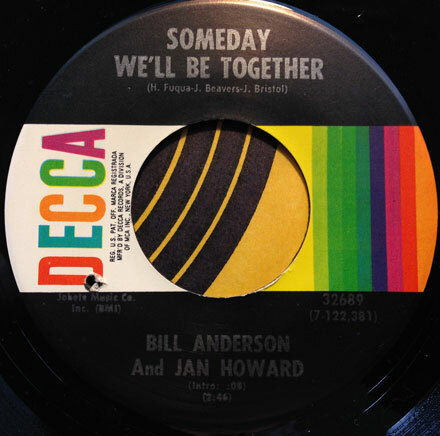 Though I was unsuccessful, in my travels I happened upon a listing for a version of the song by Bill Anderson and Jan Howard. I knew that these were both country singers, so I dug a little deeper and discovered that it was in fact the same song, and since it was cheap as chips, I pulled the trigger. “Whispering” Bill Anderson was one of the bigger country stars of the 60s and 70s. Jan Howard (who was married to legendary songwriter Harlan Howard) had her own string of hits starting in the early 60s. 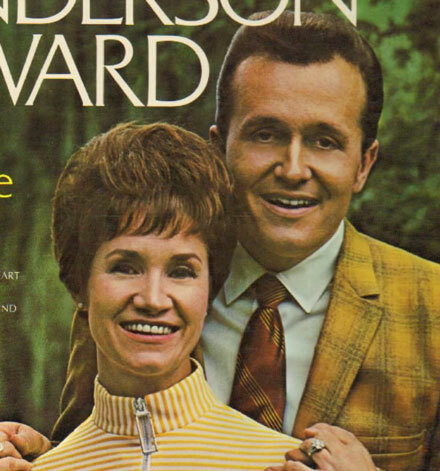 Anderson and Howard started recording as a duet in the mid-60s, scoring a number of Top 10 Country hits. 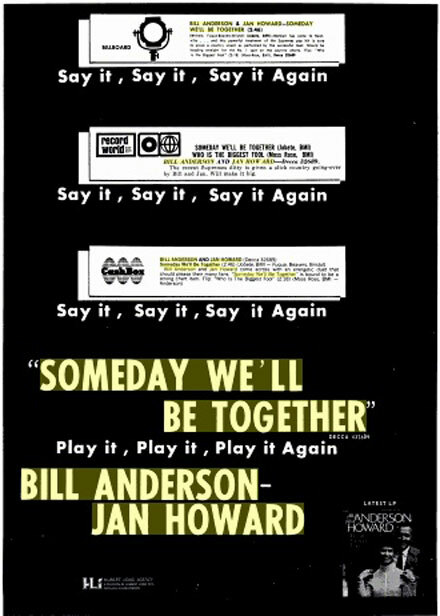 Their version of ‘Someday We’ll Be Together’ was released in 1970 and made it to #4 on the Country charts. Their version has a fairly standard vocal arrangement, but the addition of the combination of a fuzzed out lead guitar and pedal steel adds a groovy touch. While it might not be everybody’s cup of tea, I’m still blown away by the odd juxtaposition of material and style (aside from countless country and soul tunes that crossed over naturally), and really dig this one. I hope you do, too, and I’ll see you next week. We enter the 51st episode of the podcast up inside a new headspace (if you will) that finds the ILRS in a trippy, free-form, somewhat dreamy and experimental place (more Venus Flytrap than Johnny Fever). There are some stylistic surprises (nothing too jarring…) but I think you’ll find yourself drifting away on a pillowy (occasionally dark0 cloud of musical nirvana. So get your download on, and uplink into your ears. NOTE: The family and I are on the road this week, so I decided to dip back into the archives and bring back something cool from the past. 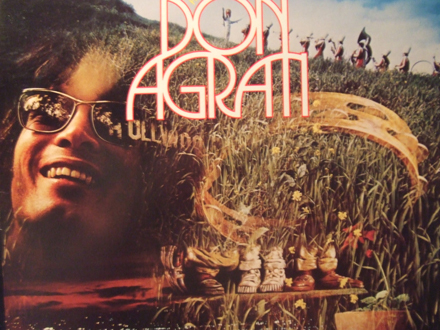 I really dig these Don Agrati tracks and think they deserve some shine, so here you go! Welcome back to week number two of the return of Iron Leg (sounds like a Hammer film from back in the day). The tunes I bring you today, presented under the ‘Sounds of the Millennium’ banner, do so under fairly loose conditions. As far as I know they don not include performance contributions by members of the band. 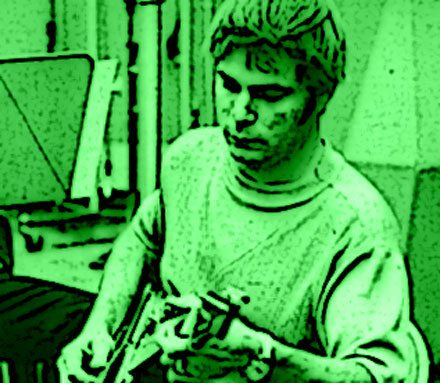 However, the demos on which the album in question were built were produced by none other that Curt Boettcher and Keith Olsen. The artist is someone that most of you know, but perhaps under a different name. Don Agrati spent the bulk of the 1960s as a big TV star under the nom du screen ‘Don Grady’. He appeared from 1960 to 1971 on ‘My Three Sons’ as Robbie Douglas, before which he was a Disney contract player and performed on a number of other shows. Some of you will also be aware that during his time on that show he had a sideline musical career. As Robbie Douglas, Agrati performed on ‘My Three Sons’ with his band ‘The Greefs’. 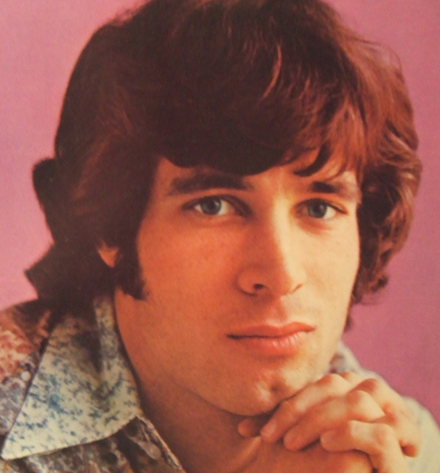 Outside of the show, he recorded a number of 45s for the Canterbury label, as drummer for the Yellow Balloon, and as a vocalist with the Windupwatchband and as a solo (the latter two as Don Grady). 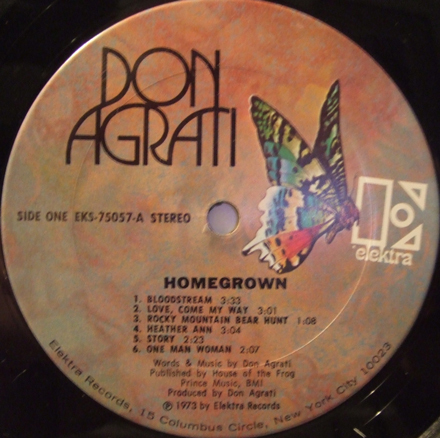 A few years after the demise of the show, Agrati signed a contract with Elektra records, and in 1973, the aptly titled LP “Home Grown’ was released. Information is scarce, but it seems to be the case that the demos for ‘Home Grown’, which were produced by Boettcher and Olsen, were assembled over the course of a few years, and then apparently polished/augmented (not changing much) and released. The album is stylistically all over the place, though some of this seems to be due to the passage of time (a few of the songs have copyrights from years before the LP was released). There are moments of Monkees-ish pop (‘Two Bit Afternoon’), jazzy efforts (‘Bloodstream’) and sophisticated, early 70s California pop (the two songs I bring you today). I’ve paired ‘Hollywood Song’ and ‘Protoplasm Blues’ because of all the tunes on ‘Home Grown’, they seem to have been born out of the same stylistic sensibility. There are hints of Nilsson and Emmitt Rhodes (especially appropriate considering the source), as well as the Beatles (the root for the previous two), and even at times the later, jazzier side of Traffic. The cool thing is that none of these influences seem direct, but more like they were all dipping into the same portion of the musical zeitgeist. I’ve read that Agrati played keyboards and drums on the album (and possibly everything else), and his piano work is pretty nice. In fact it’s the piano that really makes both ‘Hollywood Song’ and ‘Protoplasm Blues’ so cool. I wouldn’t go as far as to say that ‘Home Grown’ is some kind of lost masterpiece (it’s not) but rather that it does have some excellent tracks, and indicates that Agrati, given the appropriate time and focus could have gone on to craft a really solid set. Fortunately, while it is obscure, ‘Home Grown’ isn’t particularly expensive. You could probably score a copy for less that $30.00 (I got my first for around 20, and then found a second for 5 bucks). It’s definitely worth hearing for fans of the California sound, and especially for Boettcher/Millennium completists. PS Head over to Funky16Corners for some funky sock soul.